with over 69,000 cross references and 198 detailed Appendices w/Images! Considered by Many the "Best Study Bible Ever Printed"
"Bullinger continues to be recognized as one of the greatest Bible scholars of the early twentieth century. Unsurpassed even today, his easy to read books and essays are critically acclaimed. Bullinger's comprehensive and detailed study of figures of speech in the Bible has never been superseded. His Bible commentaries, Greek lexicon, textual notes, and numerous expositional studies continue to inform students of the Scriptures." 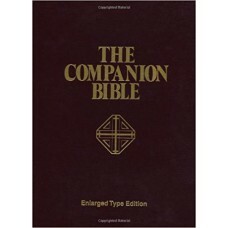 We at BibleAnalyzer.com spent a great deal of time and effort making a digital edition of the Companion Bible available for the modern digital world. Now all the Verse Side Notes, Appendices, and Images are available for our Bible Analyzer Bible Study Software. 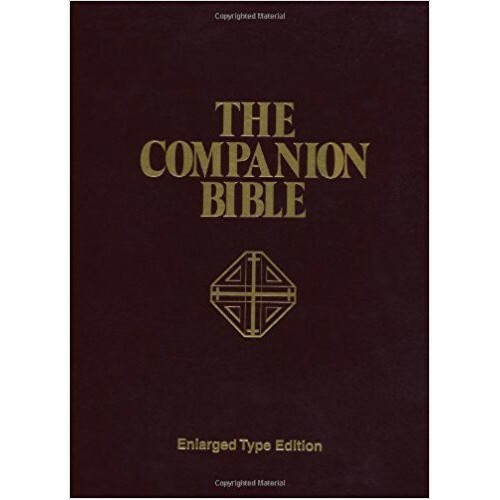 All the Companion Bible Notes data is keyed to its verse and instanly searchable and also has links to the valuable Appendices. Now the Companion Bible Data can be accessed and searched in a flash. Above is an image of a page from the printed edition. Also above is a screenshot of in the Bible Analyzer Companion Bible Module. All the notes data in the printed edition are available in the digital with much more cababilities and quicker access. The Notes and Appendices have been recently updated to include even more cross-references and appendix links! A Commentary Module from the side notes found in the famous Companion Bible edited by E. W. Bullinger. There are over 68,000 notes on nearly 24,000 verses, with over 69,000 cross references! A Bible module made from the side note suggestions in the Companion Bible inserted in the Authorized Version text. The definitive book on the figures of speech found in the Scriptures. With all text and footnotes. Includes Book and Dictionary modules. All 1100 pages from the book!